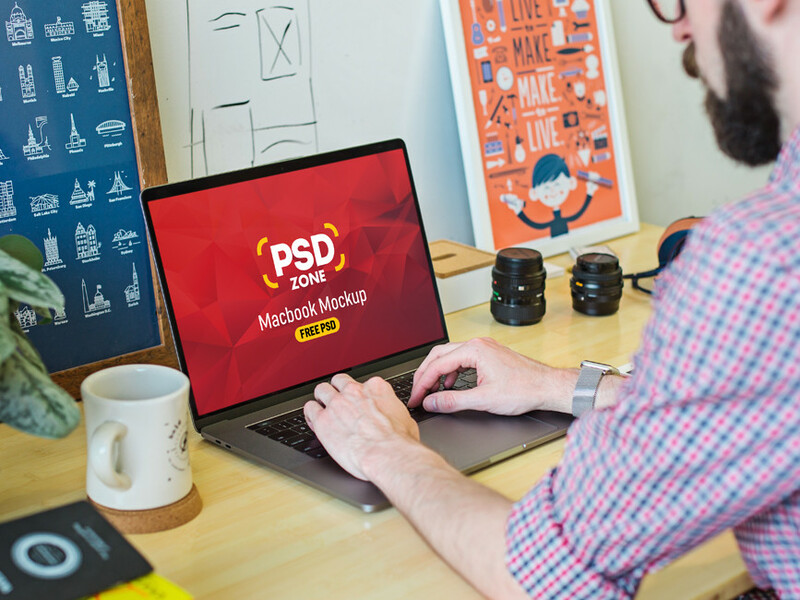 Download Free Man Working on Macbook Pro Mockup. Showcase your web apps and web design projects in a photorealistic way. To have your artwork displayed on the screen of the Macbook, just place it inside the smart object in photoshop. Nicw work done by PSD Zone.